When you find a home you want to buy, you will need an inspection. You will want to make sure the inspection is a thorough one, so that nothing is missed because things that are missed can turn into big problems down the road. 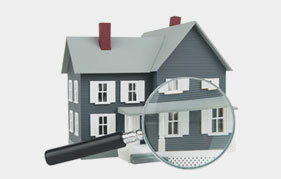 A home inspector’s job is to scrutinize things you probably wouldn’t even think to look at. Our list has over 1,600 items that need to be looked at, from how the toilets flush to cracks in the walls. This checklist will ensure that the home you’re looking at buying is in good enough shape for the deal to close. The results of the inspection will also help you decide if you should back out of the deal. The cost of a home inspection is a small price to pay when you consider the thousands you can save in repairs. You need to make sure you hire a reputable inspector because believe it or not, there are inspectors that don’t check everything they’re supposed to. 1. Roof. Home inspectors will check for warped or missing shingles and look at the flashing and gutters, but if the roof is very high or steep, they may just pass on checking things out. The roof is a big-ticket item and should be looked at properly. You may want to hire a specialized roof inspector. 2. Outlets behind heavy furniture. Many home inspectors are not about to move heavy furniture to check electrical outlets that are behind them. For this reason, it’s a good idea to ask the home seller to pull furniture away from the walls so that every electrical outlet can be inspected. 3. Fireplace & chimney. Dampers will be checked, and a flashlight will be used to look for obstructions, but that may be all. You may want to have an additional inspection to look for soot and creosote buildup that can start chimney fires. 4. Ground under the home. The ground beneath a home may be overlooked by many inspectors. You will want to know about the structural integrity of the land your potential home is on, so make sure the inspection looks for any problems. 5. Swimming pool. Home inspectors will turn the pool pumps and heaters on to ensure they are working correctly, but they may not look too closely for cracks or dents. You may need an additional pool inspection for a closer evaluation of the condition of the pool. 6. Well & septic system. If the area your potential home is in has lots of wells and septic systems, the system will be looked at to make sure it’s working correctly. You may need to pay an additional fee to have the well water tested. A full-on septic system will require a septic system inspection. These areas need to have a thorough inspection performed. 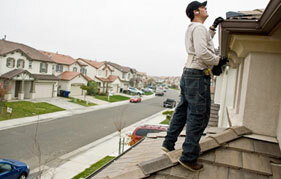 Overlooking these areas not only makes a home unsafe, it can be costly. 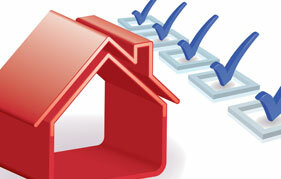 If you feel you need additional inspections for your new home, contact JMark Inspections today.